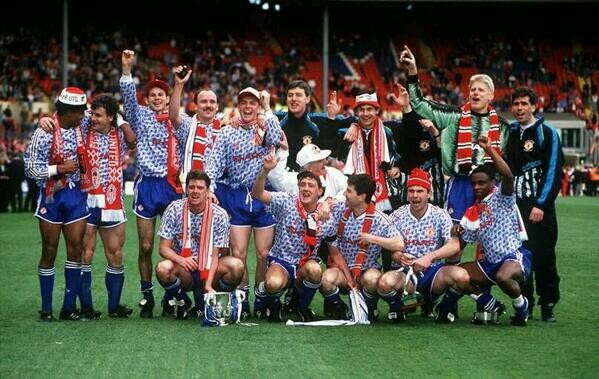 It was United’s second consecutive appearance in the final after losing to Sheffield Wednesday the year before. Forest, meanwhile, had won it in 1990, the last of four League Cups won by the club under manager Brian Clough. 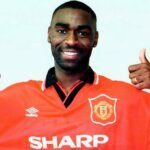 Played before a crowd of almost 77,000 at Wembley Stadium, it was a closely fought affair, with Giggs providing the assist for the day’s only goal, scored in the 14th minute by United forward Brian McClair. It was only the third domestic trophy for manager Alex Ferguson, after the 1990 FA Cup and the 1990 FA Charity Shield (the latter shared with Liverpool), but he had also won the Cup Winners’ Cup and the UEFA Super Cup in 1991. 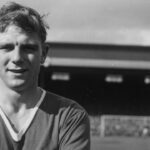 He and Giggs would go on to win a multitude of additional silverware with United, including 13 league titles, four FA Cups, three League Cups, and two Champions League trophies. Two of Forest’s starting XI that day, Roy Keane and Teddy Sheringham, would themselves later win trophies with United, as well. It was the last cup final for Clough, who had already won two league titles and two European Cups. He retired in 1993.